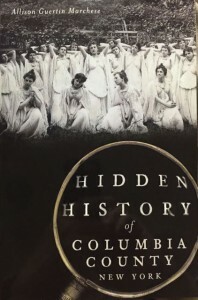 The Hudson Area Library History Room sponsored a lecture April 2, 2015 by Allison Guertin Marchese based on her book “Hidden History of Columbia County New York” (The History Press, 2014. Available locally at The Spotty Dog Books & Ale 440 Warren St). 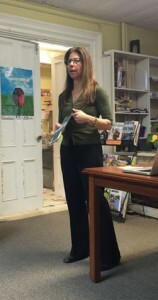 Ms. Marchese touched on many topics: healing waters in New Lebanon that supported a 300 room hotel, sulfur springs in Stottville, the Shakers, Electric Park, interesting people in the area, a fairly extensive comment on Edna St. Vincent Millay, the poet and finally the library’s current home at 400 State St.